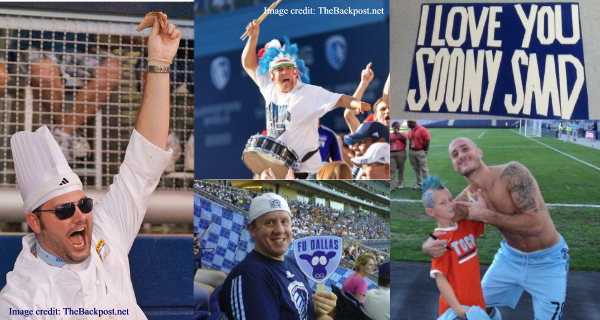 The 2011 Fan of the Year has been chosen! 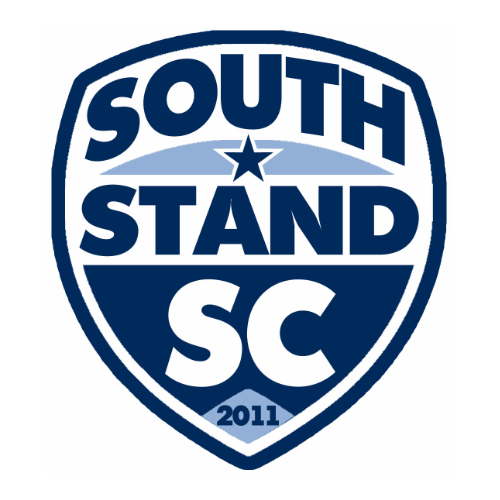 We love to speculate about the future of Sporting Club since the possible combinations of sports is like a mixed up Rubik's Cube that only Soony Saad could solve. Looking for Lyrics to Chants? We have collected as many chants as we could find that you might hear at Livestrong Park. Find out what everyone is saying about the upcoming match. Thanks to everyone who pledged this year! 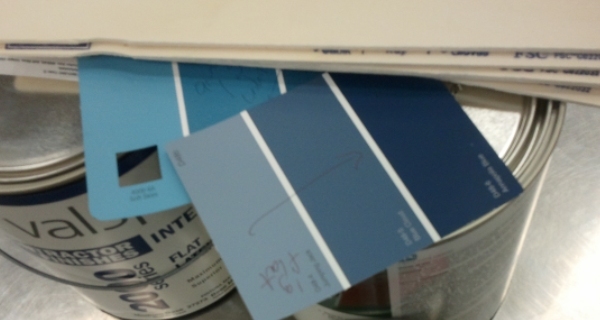 Well it has been a long time coming, but we finally decided to end our active work with our group. 2014 was a year that saw many people in the group start to have different work/life responsibilities that made it harder to manage the group as we had initially sought out to do. 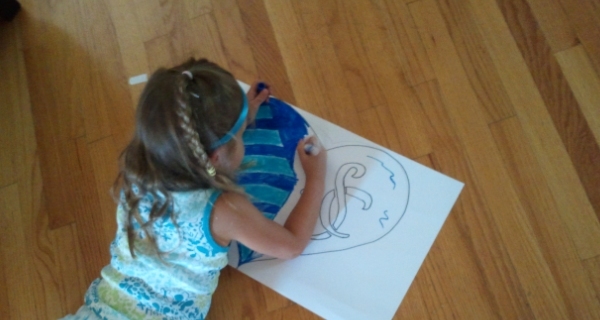 There are many great places to share you SKC spirit online and in person. Please don't be a stranger as the majority of us are still going to the games home and away. Thanks to everyone who supported our effort from the time we were very small in Section 102. We loved the past 5 years and would not trade it for anything. The website, Twitter and Facebook page will all stay up for links and posterity. It's the least we could do. And maybe someday when we retire and our kids are away in college, we can get this started up again! 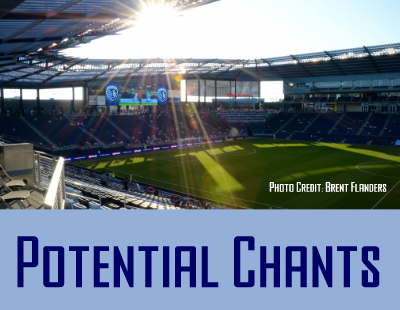 FC Kansas City Playoffs at Sporting Park: Pipe dream or possibility? If you think this is a capital idea, sign the petition. Congratulations to FC Kansas City on clinching a playoff spot in the inaugural season of the NWSL last night with a 3-2 win against Alex Morgan, Christine Sinclair (no relation!) and the Portland Thorns. I have been to three FC Kansas City games this year at Shawnee Mission NW stadium Verizon Field. 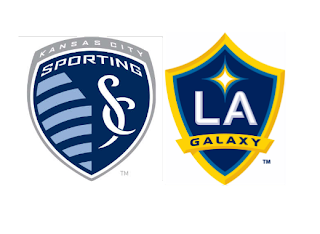 I'm a soccer fan and a Kansas City fan and I'm hopeful that all of our teams can succeed here including the Brass, KC Shock, and the Comets. 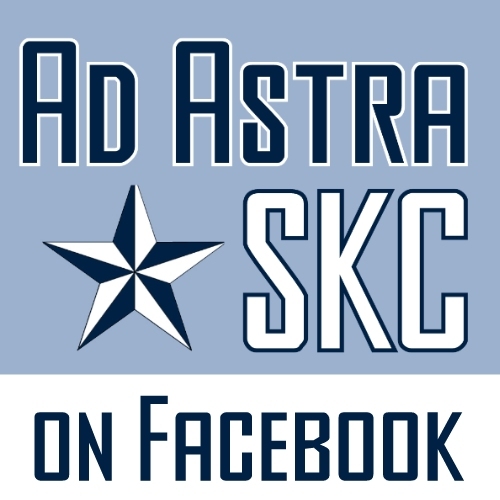 If we are going to proclaim our city "Soccer Capital of America" as Sporting KC has over All-Star Week and with the courting of the US Soccer training facility here, we need all of our teams to flourish even if they don't belong to Sporting Club. And how do we show our region and our country that soccer is flourishing here and that we deserve to have the US Soccer (Men's and Women's) training facility here? We show case our winning teams in the best venue suited for them. Right now FC Kansas City is drawing 75% (4,597) capacity crowds at Verizon Field which is decent enough for second in the league. But now that they are in the playoffs one would expect some increased attention and potential increased ticket sales. But if you have been to one game at Verizon Field and seen the football lines and the turf, you might wish that when the stakes are really high that our Kansas City team can play on the best field available. The best field available right now that can hold more than 6,150 max capacity of Verizon Field is Sporting Park. BUT there are potential objections and I would like to address them here in the naive hope that we the fans can better support our clubs. But this is business: Yes Sporting Club (owners of Sporting KC) and Top of the Arc (TOTA) (owners of FC Kansas City and the Missouri Comets) are different business entities, but in reality them working together makes great business sense to both sides, to the city, to the growth of the sport and to the fans. I don't have any insider information of they get along or they hate each other, because frankly I don't see much interaction between the two groups in the media. It seems like a distant acknowledgement of each other from the front offices. 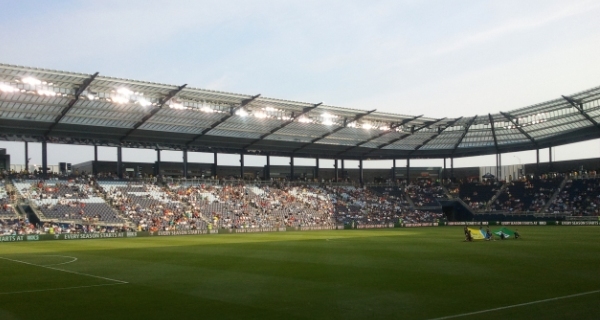 The TOTA business case for FC Kansas City playing at Sporting Park is easy. Back up the claim that KC is the "Soccer Capital of America"
Have SKC players do autograph/photo ops. And potentially make the argument that someday big Sporting KC games should take place at Arrowhead. No one in KC but the owners care that there are two different owners. The players show up at each others games. I stood in line for a Port-a-John with Sinead Farrelly and Desiree Scott in the Parking Lot of Sporting Park. SKC players have been seen at FCKC games. The fans for both teams overlap as well. 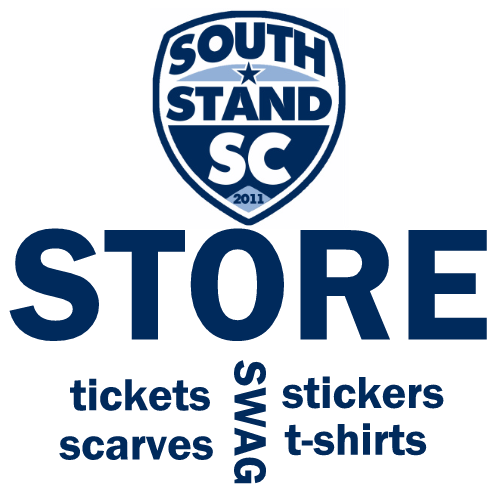 Sure there are many many more SKC fans as attendance and apparel numbers will tell you, but there is plenty of overlap. And we as fans don't really care that you are owned by different organizations. 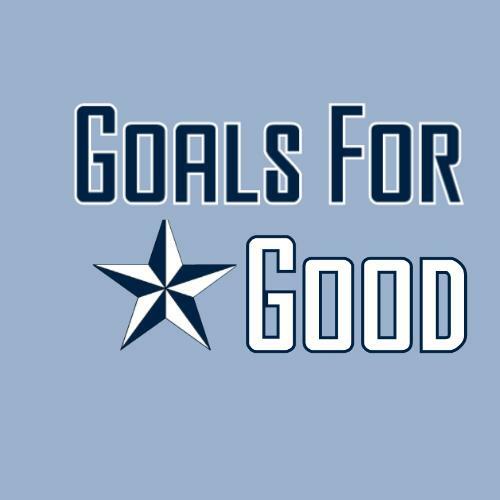 Just because SKC is wildly successful now, they need to be a little more humble and remember what it was like to be struggling and help out other soccer teams that are trying to make a mark on our city. 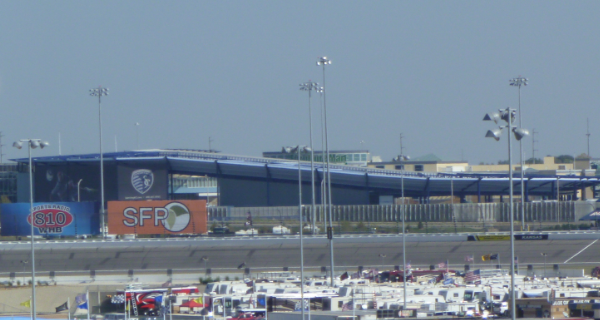 It will attract more talent and more attention to the city and I doubt that NWSL and FC KC will take over popularity from Sporting KC and MLS just because they let FC Kansas City play a few games at Sporting Park. Come on Robb Heineman and Brian Budzinski...work this out for Kansas City and the fans for both your teams. 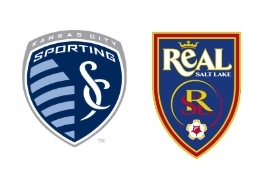 ESPN 700 (RSL) Radio highlights - Listen to the crowd! Talkin' Touches (@AndyEdSKC) Sporting KC - Are they the best in the MLS? Calvin L suggested this in the Facebook group for New Songs on March 31st, 2012. A couple variations were suggested and this is the version most people agreed upon. The song is well known in America among people aged in their 30's since originating in 1972 on Sesame Street. Seen referenced by a UK blogger as well. 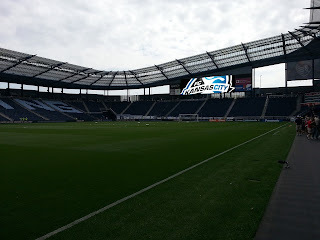 Heard at LIVESTRONG Sporting Park: Being tried starting with the April 7th game against LA. Heard from other MLS supporters groups: None - an original! Although their was talk in 2008 of Rapids fans using it for the Rapids player Terry Cooke. I cannot find any recordings or evidence it went beyond just talk. 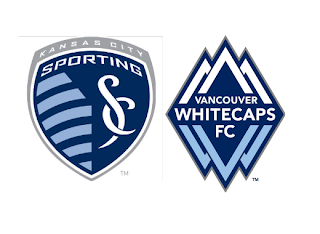 Why it might not: Never been done before, a little change on the bumber of Collin/Cookie references on the last line to get SKC to fit may throw off people learning it for the first time. Got an idea for a chant? Submit it to us! 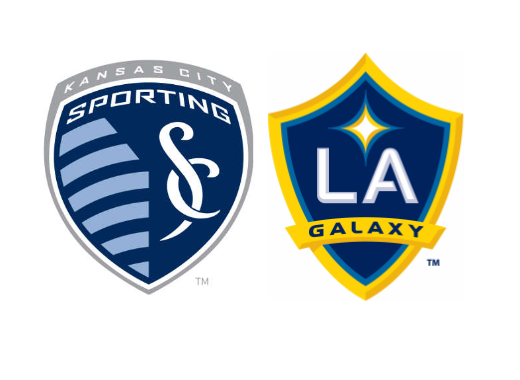 ESPN LA "D Better, but KC dominates"
Global Football Today Galaxy Blog "The Hangover pt. 2?" USA Today "Sporting stays perfect with win over Galaxy"